The theme of the 2017 Dublin Feminist Film Festival is ‘FeministFutures’, films that ask questions about future generations of women, not just related to science and technology, but also on the challenges facing women moving forward and subjects worth considering as things change for women in Ireland and elsewhere. The 2016 documentary Trapped makes for an excellent choice for an opener to the festival in this regard, depicting an urgent reality for women in the United States that has only continued in importance in the face of the considerable political changes in that country since the film’s release. For viewers in Ireland, the film makes for vital viewing as well, delivering the important message that no matter what happens next year with regards to repealing the 8th Amendment, the job of fighting for reproductive rights for women won’t be finished. Those who look to control and restrict the bodily rights of women will not go away. This past weekend saw the Light House Cinema kick off their third edition of the popular film season, ‘Films You’d Love Your Kids To See’, with the first of three showings of ET: The Extra Terrestrial. Now in it’s third year, the lengthily titled season is a selection of favourites from the past that are perfectly suited to being shown to and loved by a whole new generation of film fans. From beloved standards like The Goonies and the Back to the Future trilogy, to all-time classics like The Wizard of Oz to 90’s Kids picks like Aladdin and Jurassic Park, there’s a wide selection of films showing all summer long that are bound to delight kids and adults alike and get the nostalgia flowing again. You can find the Light House’s full selection of films here, but Film In Dublin has picked out some of the must-sees for your calendar over the next few months. 2016 was a weird year for cinema goers. With action-packed blockbusters crashing at the box office and long-awaited sequels falling seriously flat with both critics and fans alike, it seemed as if the smaller, more indie and low-key pieces of cinema would finally get the public acknowledgement they deserved. This did, for the most part, come true with critical darlings such as Hunt for the Wilderpeople, The Witch, Manchester by the Sea and Hell or High Water becoming commercial hits as well as serious award contenders. Although positive steps have been made, there seemed to be an uncontrollable level of noise in 2016 (whether it be as a result of buzz or critical backlash! ), which resulted in other genuinely brilliant movies going unheard. As such, we here at Film In Dublin have decided to fly the flag and lend a voice to those brilliant films that you may have missed in 2016. The urge is understandable to avoid a retrospective of the year 2016. Not since Lot’s wife decided to take a cheeky glance back at Sodom has looking back at something been more likely to produce misery and misfortune the way this year has, but that only makes it all the more important to go back over the few bright spots, particularly for movie lovers. 2016 was undoubtedly a great year for Irish cinema, with 9 Oscar nominations and two wins, Irish films showing prominently in festivals around the globe, major stars and filmmakers coming to film on the island and some eye-catching box office success. 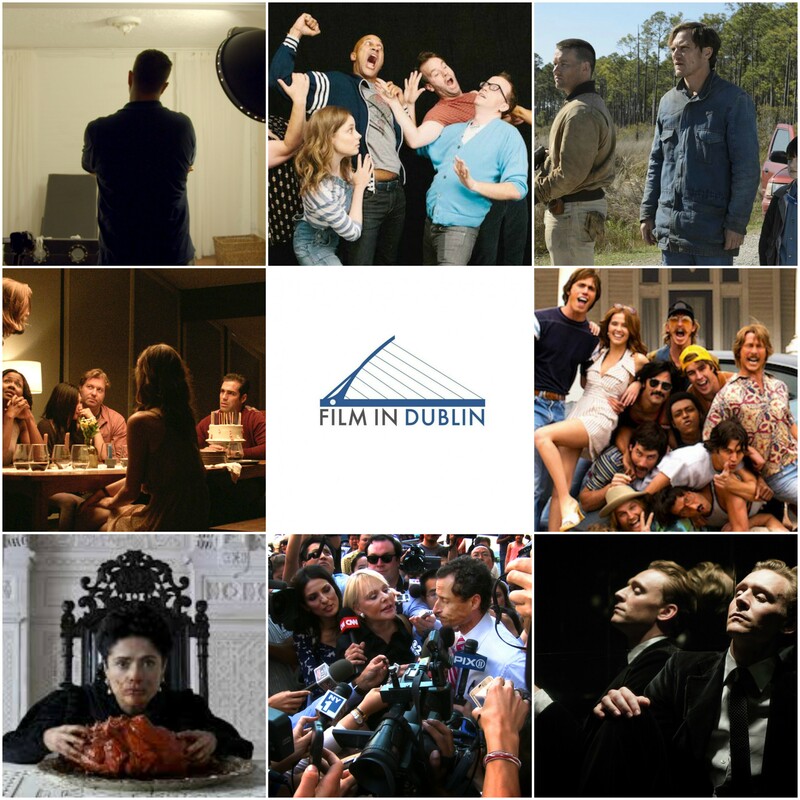 Of course, 2016 is a year that will always stand out to the writers at Film In Dublin, as this was the year that the site launched and since mid-July we’ve worked hard to show you the positives and the pitfalls of navigating through the fair city of cinema. Passengers is not the nice romantic sci-fi film you’ve been led to believe. What’s disconcerting is that it thinks it is. Thanks to a horribly misguided plot development in the first act of the movie Passengers is a film so far from what it wants to be that it’s staggering to imagine how anyone involved thought it was a good idea. Not only is this plot development completely unnecessary, it unintentionally transforms the whole thing into a profoundly uncomfortable experience. Fair warning to all here, it’s going to be kind of impossible to discuss the film’s issues without stating what this plot development entails, so rather than continuing to talk in circles, let it be known there are spoilers ahead! The ambition to have a Star Wars movie come out every single year may end up hitting a point of diminishing returns, but for now the annual return to a galaxy far, far away is still fresh enough to be music to the ears of fans and lining to the pockets of Disney. No one knows quite like they do how to appeal to a wide range of demographics; though The Force Awakens definitely owed a lot of its success to the memories it stirred in fans who had been left in the cold by the prequels, it aimed and succeeded at continuing the series tradition of kid appeal, something that goes right back to George Lucas’ attempts to recreate his own childhood joy watching pulp sci-fi serials. Rogue One: A Star Wars Story is unlikely to sell as many toys as last year’s film, but it should provide older fans that have grown up with Star Wars with they’ve always wanted: more of the actual wars. After a year with two Disney films and a Pixar sequel, it’s going to be difficult for other animated features to distinguish themselves either in the hearts of the viewing public or in the ballots of voters during the busy awards season. Your Name, an anime film by Makoto Shinkai, does not boast the wide audience of Zootropolis or Moana or even the street-cred of Laika’s Kubo and the Two Strings. What it does have though is emotion in abundance, more than enough to connect with viewers. The film received a tiny release here in Ireland, with a small handful of screenings. Worth noting though, is that were Your Name was shown, more screenings were added by demand. Those that saw it were talking about it, recommending it. And so they should. Beautiful in both story and animation, Your Name is one of the year’s hidden gems, a mind (and body) bending romance that’s deeply rewarding. There’s a very interesting film to be made about the story of Nat Turner, the literate slave who lead a violent rebellion in the Deep South in 1831, killing over 60 people. This is not that film. The Birth Of A Nation is never anything more than an okay movie aspiring to greatness. It is uneven in tone and pacing, overly simplistic in its point of view, and fairly ham-fisted in parts. There are moments that really hit home, but while the film is dealing with incredibly shocking and inherently powerful subject matter, it is never truly as powerful as it wants to be. The theme of the 2016 Kinopolis Polish Film Festival is love and the many faces that love can have. The opening film of this year’s festival, Tomasz Wasilewski’s United States of Love sees love manifested in less heart-warming forms. It is unrequited, obsessive, absent. There is ice-cold irony at play in the film’s title, as it concerns four women living in Poland, with the Berlin Wall freshly fallen, struggling desperately to find something to make them feel whole. They do not find it. In the cold, harsh world Wasilewski presents, love is a many-saddened thing.